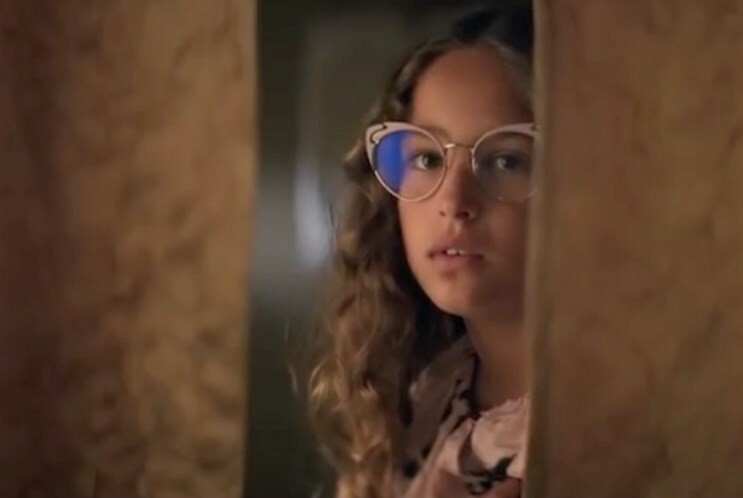 Since 2011, Miu Miu’s Women’s Tales series has been giving female directors a platform on which to tell their stories. Following in the footsteps of the likes of Chloë Sevigny, Miranda July, and Skate Kitchen’s Crystal Moselle, this season Haifaa Al-Mansour takes the reins, with new film The Wedding Singer’s Daughter making its debut at the Venice Film Festival last night (and fortunately, this time around, the premiere was not struck by lightning). Oscar-nominated Al-Mansour – the first female Saudi Arabian filmmaker – trains her lens on a Saudi wedding party in the 1980s, as the women present take off their traditional abayas and literally let their hair down away from the male gaze – there are strict segregation rules at Saudi weddings. Underneath are (surprise!) a series of Miu Miu dresses, blouse and skirt sets, and one particular standout in the form of a wide-shouldered, puff-sleeved PVC jacket, as seen as part of the Italian label’s rebellious AW18 collection. In the film, the party’s wedding singer (played by Saudi pop star Rotana Tarabzouni) falls victim to some technical difficulties as the venue's power cuts out, and it’s up to her young daughter to figure out how to get it back on before the bride and groom arrive. Ignoring the girls on the next table who exclaim that “she and her mom will go to hell, all singers do,” she dashes backstage and (spoiler!) manages to reconnect the electricity just in time.